José Mourinho, the manager who just a few seasons ago said, “I don’t want to win the Europa League. It would be a big disappointment for me. I don’t want my players to feel the Europa League is our competition,” is now desperate to win the Europa League. And after today’s 1-0 first-leg semifinal win over Celta Vigo, Mourinho is even closer to the demeaning act of hoisting Europe’s second-tier trophy. After an even first half, United scored a crucial away goal in the 67th minute thanks to a curling free kick from precocious teenager Marcus Rashford. Before today’s match, Mourinho—who essentially gave up on snagging a top-four spot in the Premier League last month by fielding second-rate teams in Premier League matches in order to save his best players for European play—had drastically changed his tune about the Europa League. 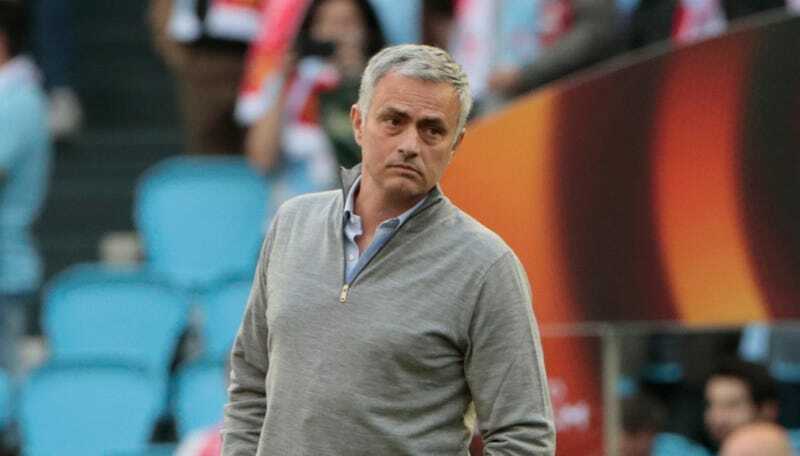 He has called it an “important” tournament and said it was the only way Manchester United could find their way back into the Champions League next season. Conceivably, United could still finish in the top four, but with two of their final four matches against Arsenal this weekend and Tottenham the following week, their odds don’t appear all that strong. I know it’s the only competition Manchester United as a club have never won it. It would be great to close the circle, and say we are a club that has won every single competition in the football world. If Manchester United wins the second leg of the semifinal and moves on to the final, they’ll likely face Ajax, who crushed Lyon 4-1 yesterday. United, the star-studded, recently underperforming global giant of the sport will be expected to win. And Mourinho, who is still trying to wash away his disaster of a season in 2015-16, needs them to win. How the mighty have fallen.